Are you concerned about academic freedom and the way basic freedom protects your teaching and research? 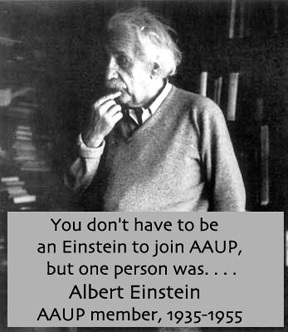 If so, you should join the AAUP today. By joining, faculty members, academic professionals, and graduate students help to shape the future of our profession and proclaim their dedication to the education community. In addition, there are many practical benefits available to AAUP members, including discounts, insurance programs, and financial incentives.